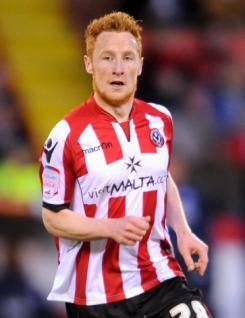 Stephen Quinn is a tenacious midfield player for Sheffield United. Stephen joined United in 2005 from Dublin's St Patrick's Athletic.& read more..
Paul Quinn is a solid and committed Cardiff City defender who is effective when pushing forwards. Essentially a right back, he can also pl read more..